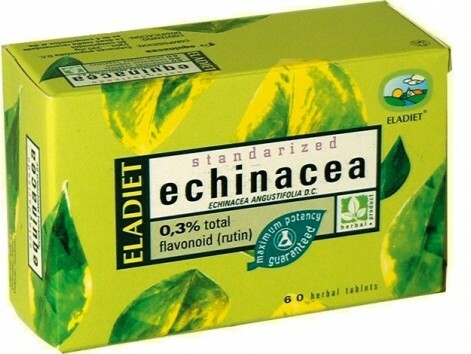 Eladiet Standardized Echinacea 60 tablets. 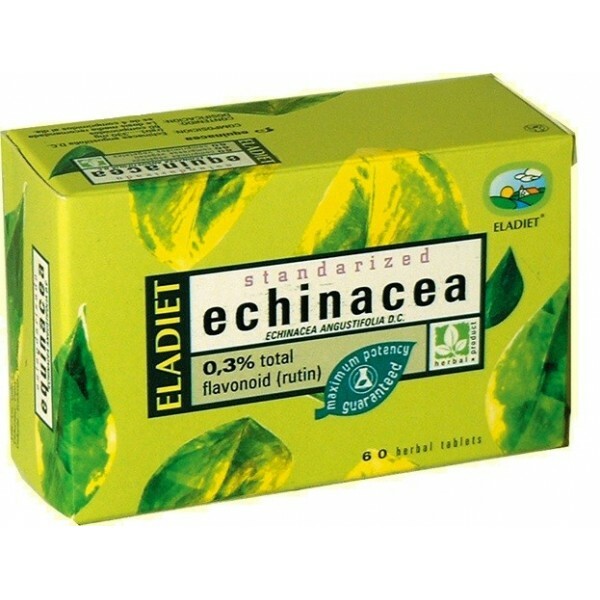 Eladiet Standardized Echinacea 60 tablets. Echinacea tablets of Eladiet help a normal body response. How to use: It should take 2 tablets three times daily. Ingredients: Echinacea Angustifolia (standardized to 0.3 Flavonoids (rutin)). Presentation: 60 tablets of 330 mg.